The DECLIC mini-laboratory developed by CNES is scheduled to reach the International Space Station on 25 August, carrying a full set of equipment to study transparent materials and supercritical fluids like water in microgravity. The different states—solid, liquid or gas—of carbon dioxide depending on pressure and temperature, with the supercritical liquid phase in blue. Credits: HiQ. At sufficiently high pressure or temperature, certain fluids like water or carbon dioxide become “supercritical”. When in this state, they are like a liquid and a gas and take on new properties. But observing such phase changes on Earth is far from easy due to variations in temperature and gravity. For this reason, CNES conceived the DECLIC1 instrument to study these phenomena in microgravity. “By studying critical fluids in microgravity, we can observe phenomena that are hidden or affected on the ground by convective movements,” explains Bernard Zappoli, who heads CNES’s material science programme. 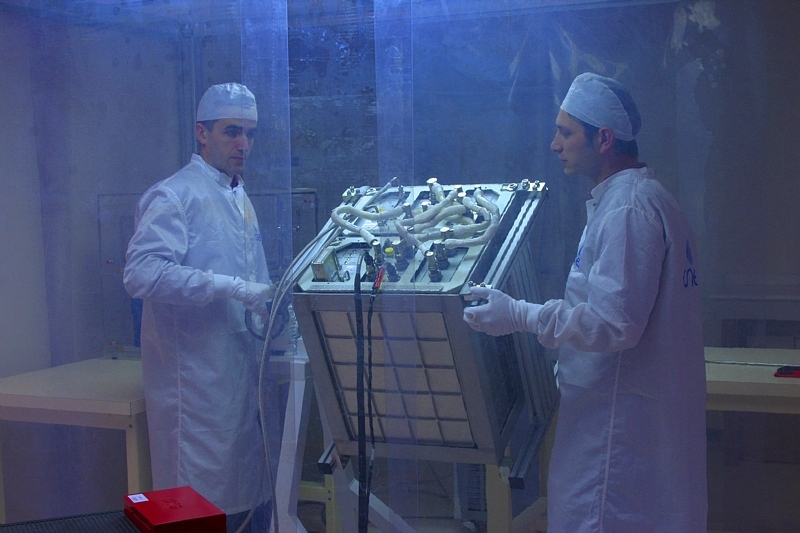 The DECLIC instrument is prepared at the Toulouse Space Centre in 2006. Credits: P. Jalby. The DECLIC space mini-laboratory consists of 3 experiments. The 1st is ALI (Alice Like Insert), dedicated to studying boiling and phase separation in critical fluids. The 2nd is HTI (High Temperature Insert), for studying supercritical water. Lastly, the 3rd is DSI (Directional Solidification Insert), for studying solidification processes in transparent materials, which are also hard to observe on the ground. 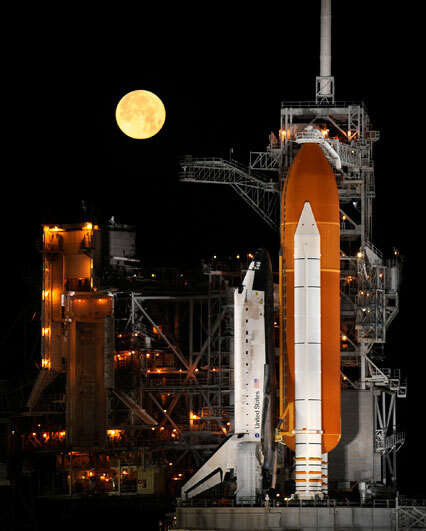 The DECLIC instrument is scheduled to fly to the ISS on 25 August aboard the U.S. Space Shuttle Discovery. Credits: NASA. But what is so interesting about supercritical liquids? Take water, for example. “Supercritical water is a medium that supports very full combustion reactions at low temperature,” explains Bernard Zappoli. And full combustion is useful in waste treatment. “Supercritical water’s dissolving power could be used for green combustion of household and industrial waste,” says Sébastien Barde, DECLIC Project Leader at CNES. Such research into supercritical fluids should also help to better control fluids in orbit, particularly propellants. 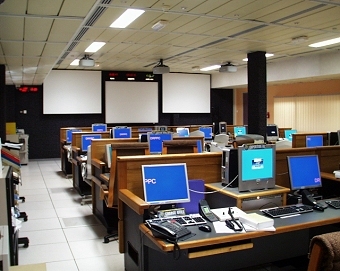 CADMOS control centre in Toulouse. Credits: CNES. Analysing solidification of transparent materials is expected to bring new insights into the metallurgy of alloys used in the aerospace and automotive industries. For 3 years, scientists will be able to control their experiments in real time and keep track of results from the CADMOS centre for the development of microgravity applications and space operations in Toulouse. We can bet they will be seeing matter as we’ve never seen it before!